Happy Friday! To my fellow Americans, have a wonderful labor day weekend and enjoy the 3 day weekend. I should be relaxing! My team launched a very cool new program at the university after a year in development, and it’s being used and we are getting results. It’s so cool! I’m not relaxing though, because I’m up to my ears in Kickstarter rewards that need to be shipped. I’m dealing with the USPS right now because a bunch of the SD cards I sent out never arrived with their envelope. Shipping things really needs to be brought into the 21st century. I feel like I need a degree in advanced logistics just to figure out the zone and rate charts. I feel like I did something wrong by putting an envelope in the mailbox. Oh well, I hope I’m stressing out over nothing. On a brighter note, updates to PiPlay are happening 🙂 Connor made a neat little WiFI setup tool, and I’m working on some small bug fixes at the moment. Congratulations to R. B. for winning the joystick contest! I have sent you an email and I hope you send me your address soon so I can send it out. This week has been rough. Fall semester startup is always crazy, but this one was just over the top. Pushed a brand new application to production, and promptly discovered a slew of bugs that hadn’t cropped up during testing. So many little fires being put out. As exhausting as it is, it’s such a fun environment, I don’t even care. I can’t wait to push the second release next week and go through this all over again! During the PiPlay Kickstarter, I ended up buying a bunch of different joysticks to test. I’m going to hold a contest. 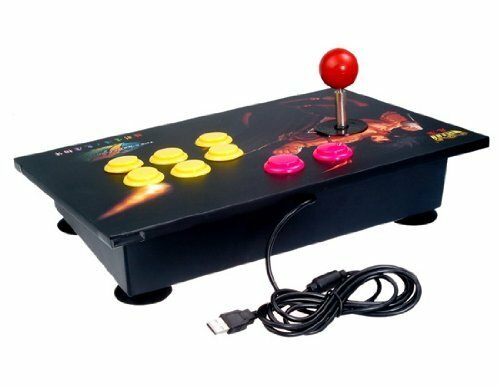 All you have to do is enter your name and email, and I will randomly select a name and the winner gets a free joystick shipped to them. I will be accepting entries until next Friday! On another note, a LOT of emails from my blog were going to my spam folder (but not all of them). I’m going through the folder and trying to respond, so I’m sorry if I didn’t get back to you. As I’m sure you’re aware, I’ve been spending most of my time working on the PiPlay Kickstarter. This has involved ordering samples, getting materials, designing hardware, and all sorts of fun things that goes along with PiPlay the application. I’m really thankful to all the backers (and other supporters) who were able to make this a reality. 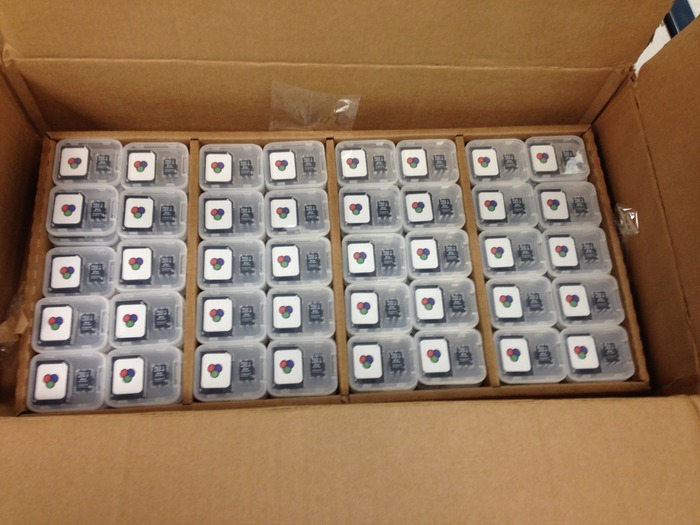 350 SD Cards have been made with the PiPlay software, and above that is my living room filled with boxes of joysticks. 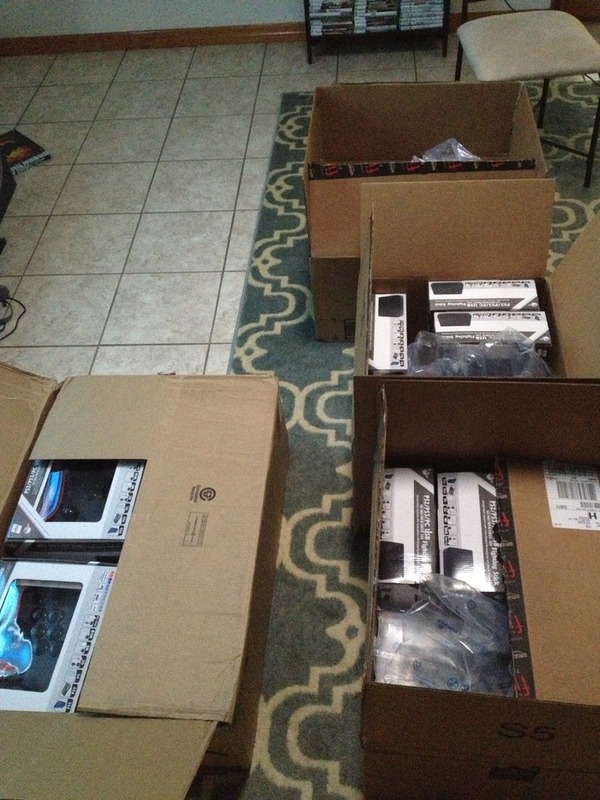 I’m going to have fun this weekend sending out shipments. Now it’s time to work on the next release. Happy Friday. One more week of break before the Fall semester starts up. It’s going to be a busy month! I’m happy to announce that PiPlay 0.8 Beta 5 is being released. It should be available on SourceForge in a few hours. Work is already being done on the next release, which will include 2 player controller setup support, thanks to Mark. So, this week K and I went on a last minute cruise to relax and get energized for the upcoming school year. It was a much needed vacation. Seconds by Bryan Lee O’Malley, who is probably best known for the Scott Pilgrim series, is a standalone graphic novel about a girl, her restaurant, and how life happens. Don’t go into it thinking it’s going to be another Scott Pilgrim with video game and pop references. It’s about life, and dealing with all the things that come with it, and how we all sometimes wish for a second chance at events. I read the entire thing in one sitting. I could not put it down. I highly recommend it. I bought this on a whim when I was going to a conference and ended up not having time to read it. I finally opened it up and even though it says Vol. 1, it’s actually a sequel to Mega Man Megamix. With that being said, Gigamix works on it’s own, and has two fun stories. Wizzywig is the story of Kevin “Boingthump” Phenicle Jr. as he grows up during the early days of the computer revolution, where his curiosity runs faster than the law can keep up. The story is a very loose adaptation of what happened to Kevin Mitnick. At times it can be a little pushy on it’s message of corruption and redemption, and the art style can be a bit too over the top sometimes, but all in all, it works. Like I said, it has been a relaxing week, and I’m ready to get back to my projects!